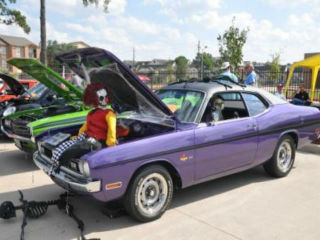 The National Museum of Funeral History's 8th Annual Halloween Car Show will feature more than 150 cars from classic to contemporary, from motorized to hoof, while helping to support local charities. The event will have face painting and arts and crafts for the kids, great food including BBQ and cupcakes from local vendors, a live DJ, silent auction and more. Proceeds go to Star of Hope, Morning Glory Ranch, The Shriner’s Burn Hospital, Houston Food Bank and The USO.